Lyneham Estate ~ Yealmpton, Devon. 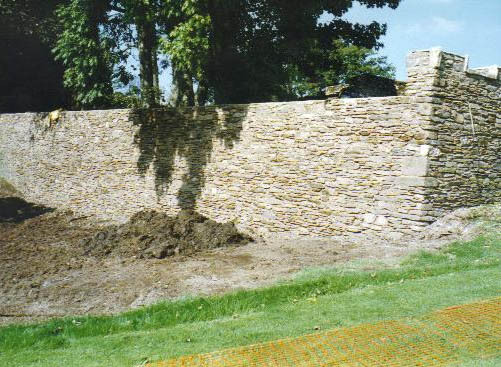 We rebuilt a 100 foot length of garden wall in the grounds of Lyneham Estate situated on the outskirts of Yealmpton, Devon. This three foot thick wall collapsed due to tree roots undermining it. Some parts of the wall stand at over 10 feet high. All the original stone, a mixture of local slate and limestone, was cleaned up and re-used with a traditional hydraulic lime mortar used in its construction. 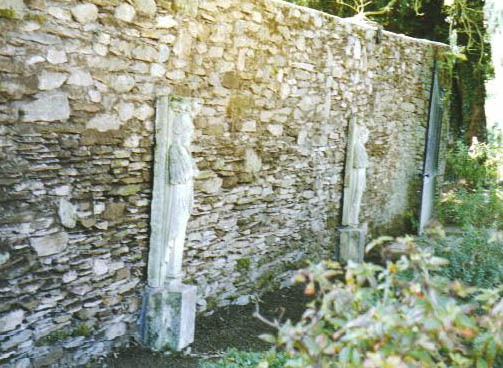 Garden statuary of Portland stone were fixed back into their positions. Lyneham House is a Grade I listed country house and was the Devon seat for Courtenay Croker, a Member of Parliament for Plympton Erle. The house was built for the Croker family around 1699. 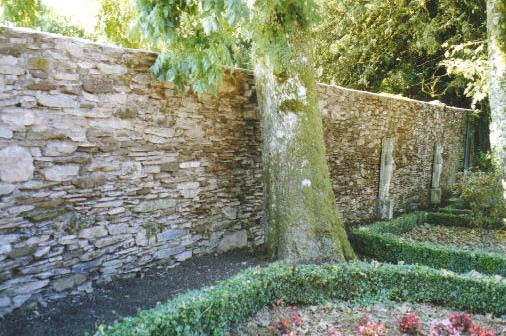 This garden wall dates from about the 18th century or even possibly earlier and is Grade II listed. 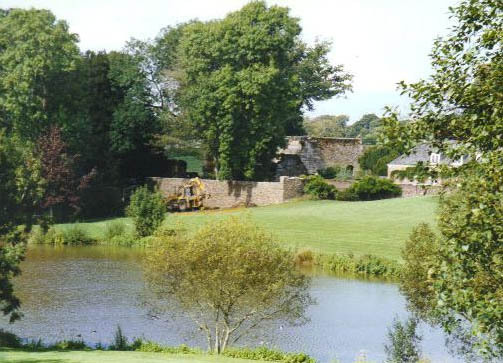 It forms an enclosed garden which incorporates the ruins of a small 16th century house and outbuildings. We have also repaired an entrance wall which had been damaged by vehicle impact and you can see this here.